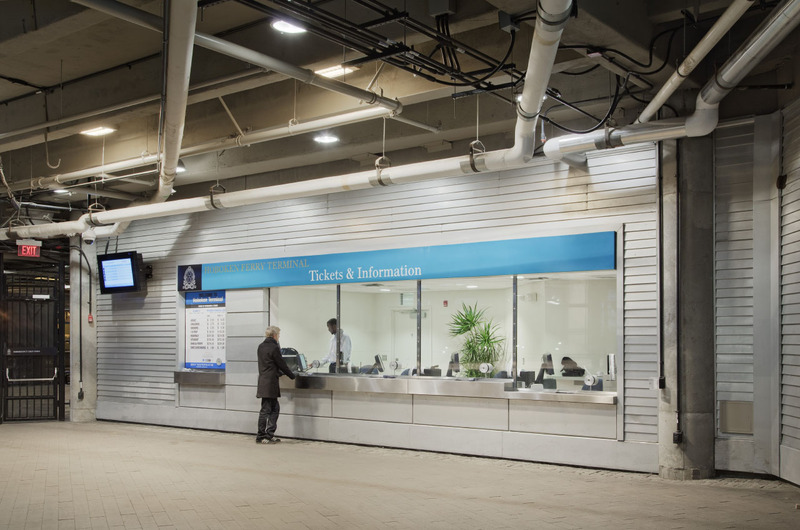 STV Group renovates a 1907 transportation hub in Hoboken, New Jersey, and puts ferry service back in place after an almost 45-year hiatus. For a century, railroads dominated trade and travel in the United States. Train station architecture developed along with the rail industry itself, and in the early 1900s, every major city was building an ornate hub to call its own. Perhaps the most iconic – and one of the most short-lived – stations was New York City’s Pennsylvania Station. Built in 1910, much of the original Beaux Arts structure, which covered almost 7 acres, was demolished in 1963 to make way for Madison Square Garden and the rest of Penn Plaza. The demolition of the above-ground elements of NYC's Penn Station galvanized preservationists to save many historic stations. 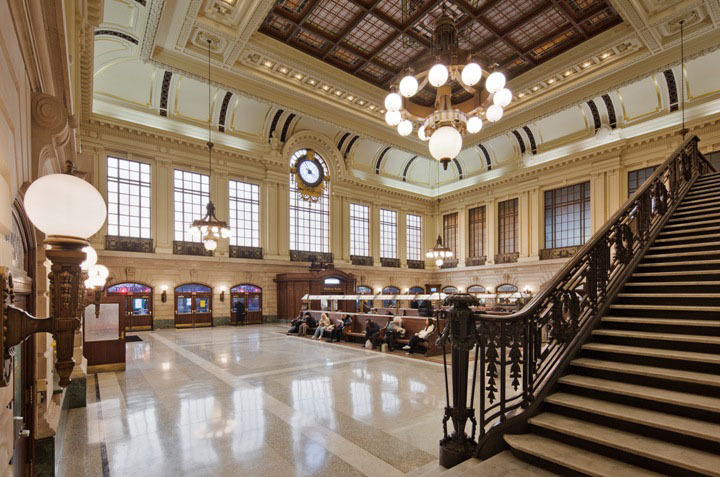 One of the stations that weathered the decline of the 1960s and '70s was the Hoboken Terminal. Situated on the Hudson River, this station was built by and served the Delaware, Lackawanna and Western (DL&W) Railroad. However, the DL&W’s main business was in freight, not passenger, transport, and the Hoboken Terminal saw much of its traffic come from commuter ferries. 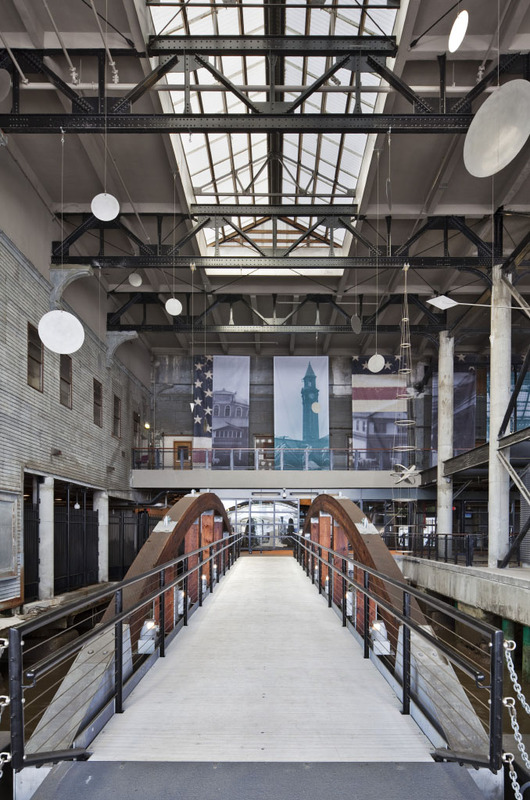 Since 1995, STV Group has been the general design consultant for the Hoboken Terminal and Yard Complex redevelopment. 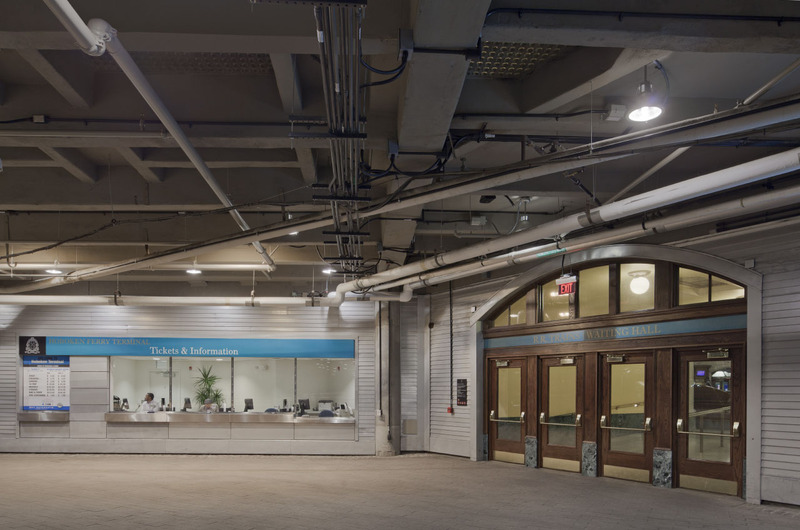 In addition to the terminal building, the redevelopment project included the storage yard, support facilities, bus plaza, and Bush train shed. Patented in 1904 and named for DL&W Railroad's Chief Engineer Lincoln Bush, this kind of train shed represented a new method of engineering at the time it was built. Bush train sheds became a popular alternative to the traditional barrel vaults that had been in use. 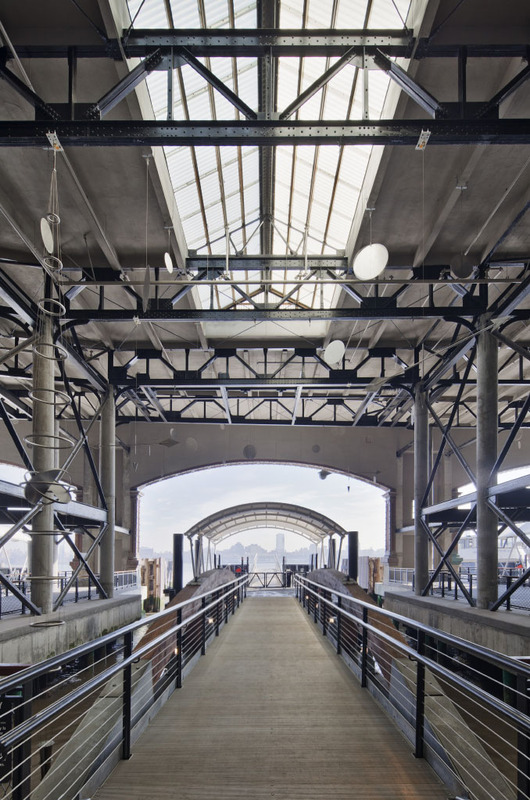 The Bush shed at the Hoboken Terminal consists of seven canopies, each supported by fluted, cast iron columns running along the centerline of each platform. 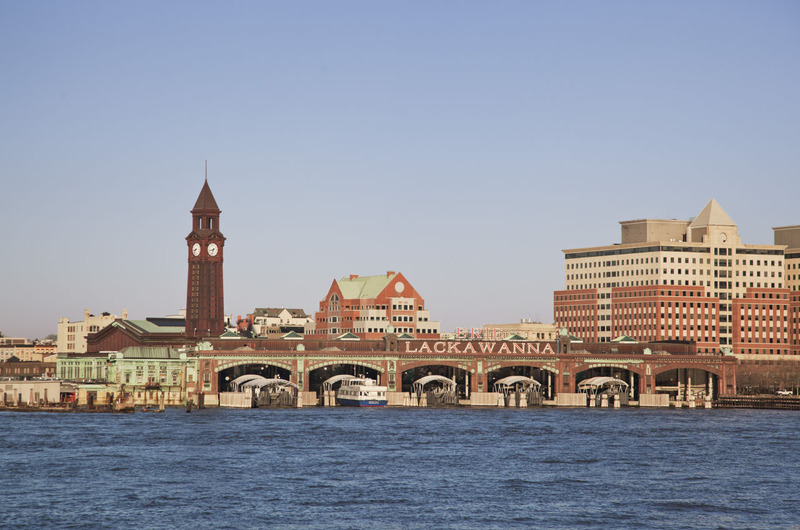 The final phase of the Hoboken Terminal restoration was completed in 2011; in December of that year ferry service resumed at the Hoboken Terminal after an almost 45-year hiatus. 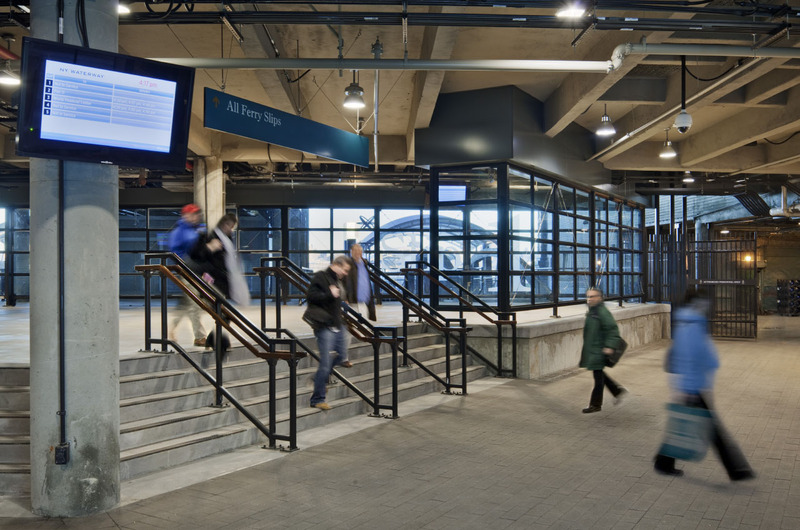 The multimodal Hoboken Terminal now serves nearly 60,000 commuters each weekday. The 29,000 sq. ft. integrated rail and ferry terminal building opened in 1907. Designed by Kenneth M. Murchison in the Beaux Arts style, it features a rusticated base of Indiana limestone, copper cladding on the east and south façades, and a clock tower. Extensive repairs were required for the copper cladding and decorative ironwork. Fiber optic lighting was added above the six arched ferry berths to mimic the original incandescent marquee lighting, and the rooftop “Erie Lackawanna” sign was relit with LED strips similar in appearance to the original neon tubing. Since the original clock tower had been removed due to structural deterioration in the 1950s, the renovation also included rebuilding a 203' tower, taking inspiration from detailing on the surviving structure. 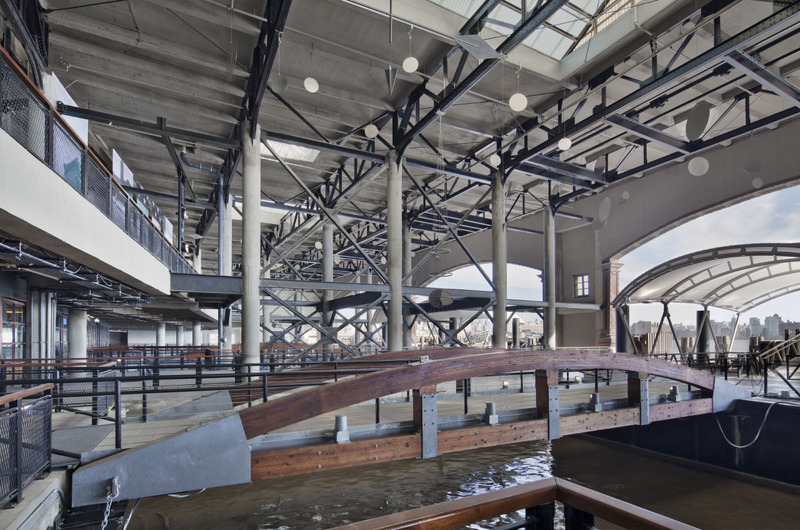 Each stage of the terminal restoration required working with Secretary of the Interior's standards for historic building modifications, as well as working with the New Jersey Historic Preservation Office, because the building is listed on both the National and New Jersey Registers of Historic Places. Inside the terminal, Tiffany stained glass ceilings grace the main waiting room. 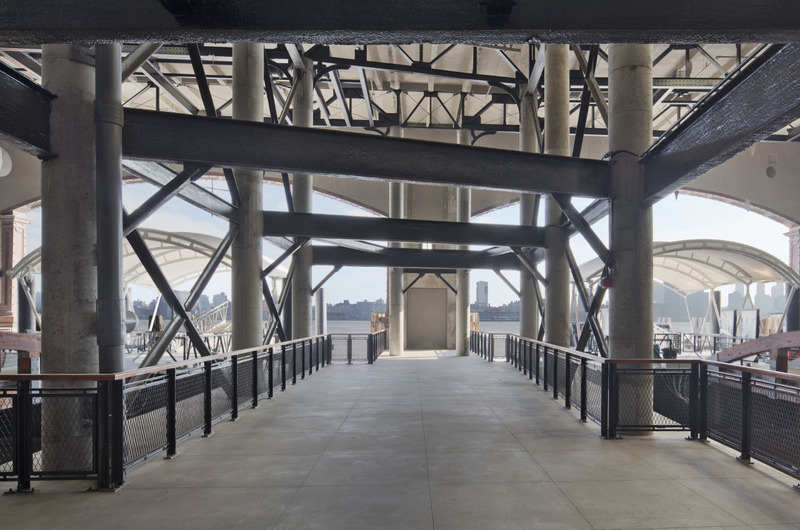 This waiting area is linked to the upper level ferry concourse by a dramatic double stair with ornamental cast iron railings. Modern infrastructure, including gangways, barges, a windscreen, and ferry operations support spaces had to be incorporated into the ferry berthing area. 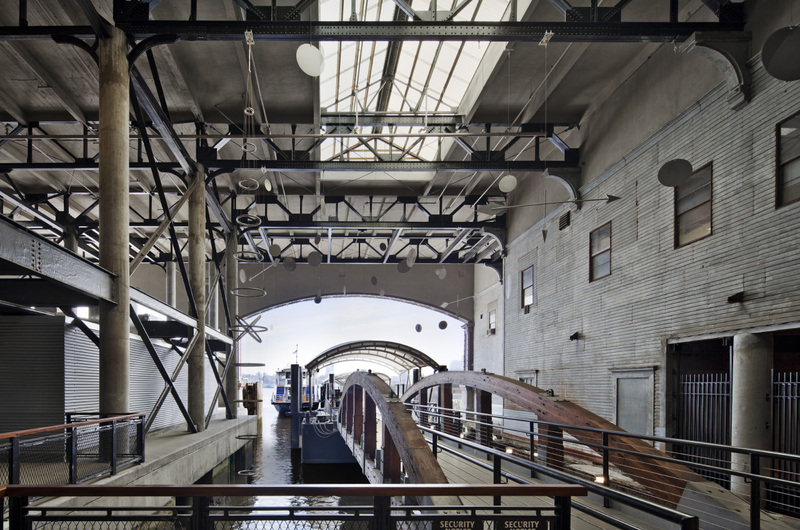 According to an STV press release, these spaces were designed to have “a raw, industrial character in keeping with the tone and feeling of the historic building interior.” Arched, trussed timber gangways were designed to be similar to the original ones used to connect the terminal to the barges, but all of these elements, including tensile canopy coverings and pile anchorage systems, were constructed by using modern materials in order to promote longevity and optimize functionality. 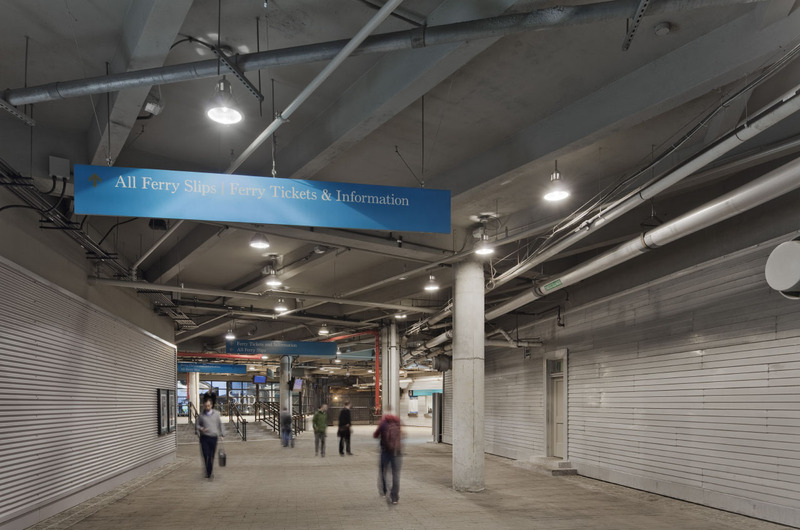 Cost of the ferry terminal renovation was $120 million; the cost of the overall complex redevelopment was $300 million. Cities across the United States have historic transportation stations that are the subjects of preservation efforts. 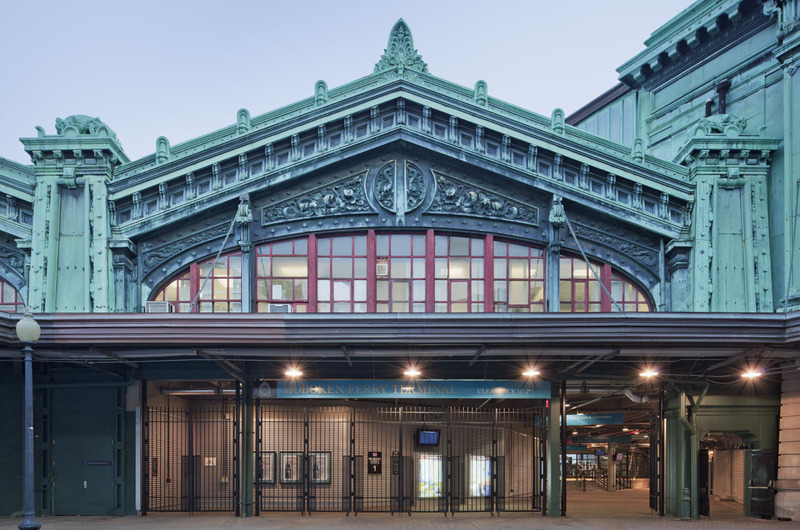 However, the Hoboken Terminal and Yard Complex redevelopment project has served double duty – it provides for the city’s current transportation needs in addition to preserving a piece of its past.